*claimed our first happy lemon keychain. yey! 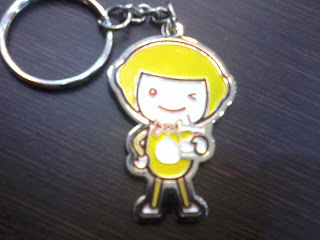 The keychain's cute but it would've been nicer if the quality is thicker. But daughter is happy and I'm happy so no harm done.